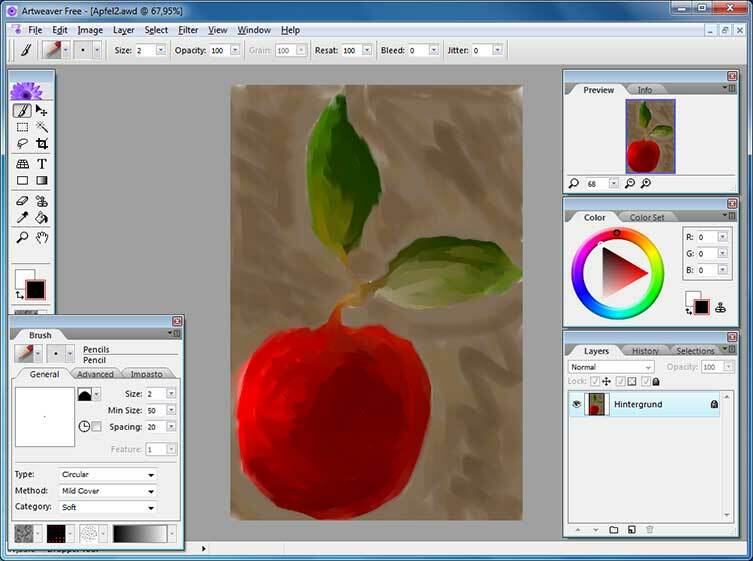 Artweaver free is a painting tool with a great set of predefined realistic brushes to paint in a creatively way or just to experiment for fun. 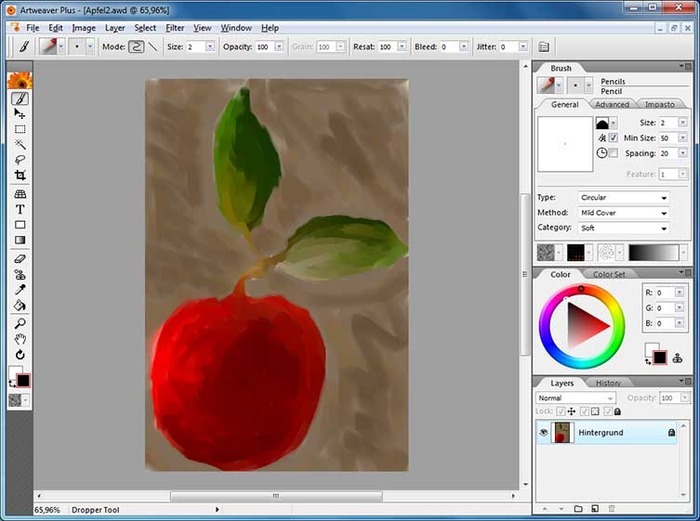 More than brushes you’ll find more drawing tools like shape, gradient, eraser, zoom, text, crop, movement, grid an many others. 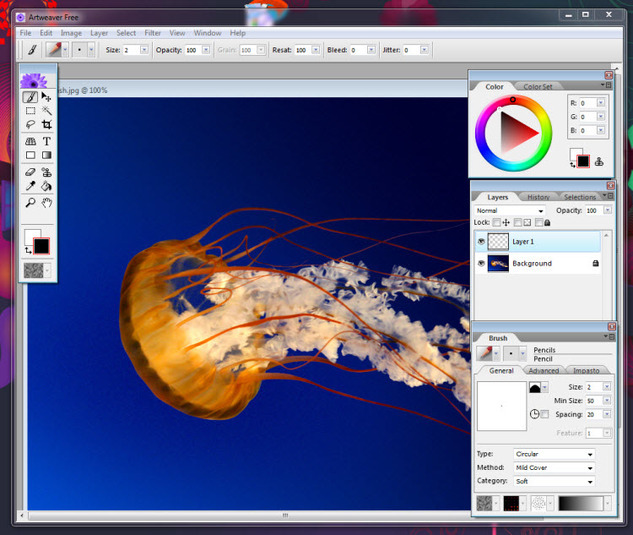 It supports formats like BMP, TGA, GIF, JPG and PCX, among others, along with filters and multiple layers. 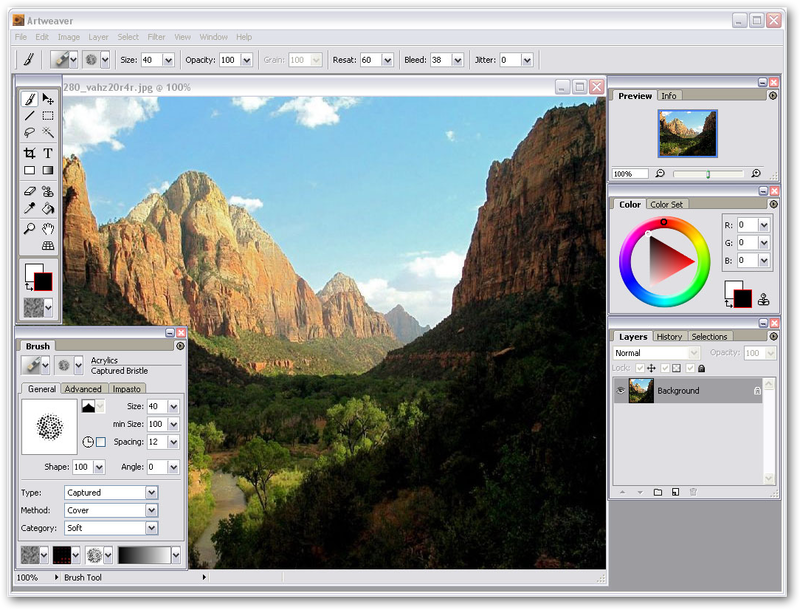 It also possible to load and run Photoshop compatible filters. 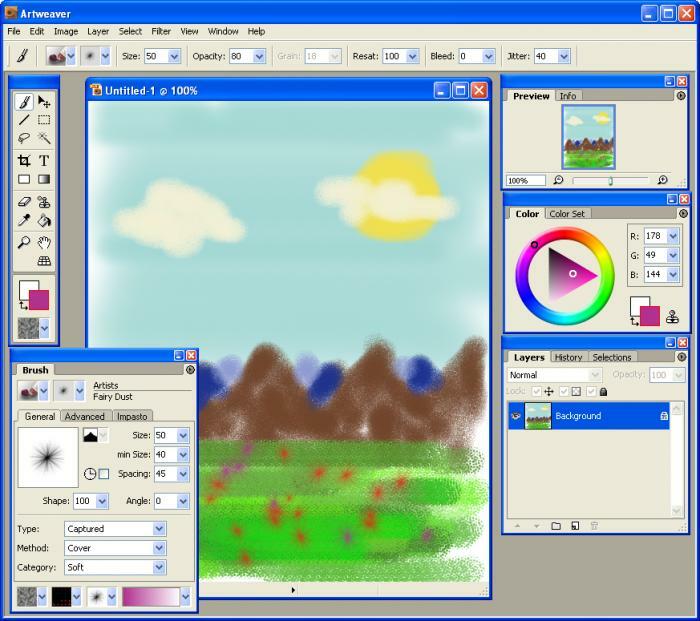 This tool is perfect to give free rein to your imagination and creativity. 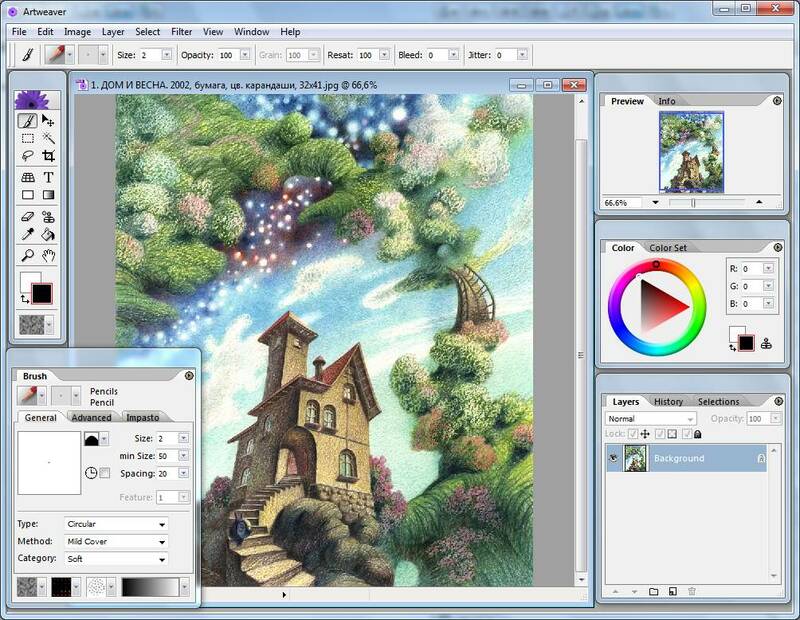 You’ll find tools in Artweaver that also you’ll find in Photoshop or other similar programs. 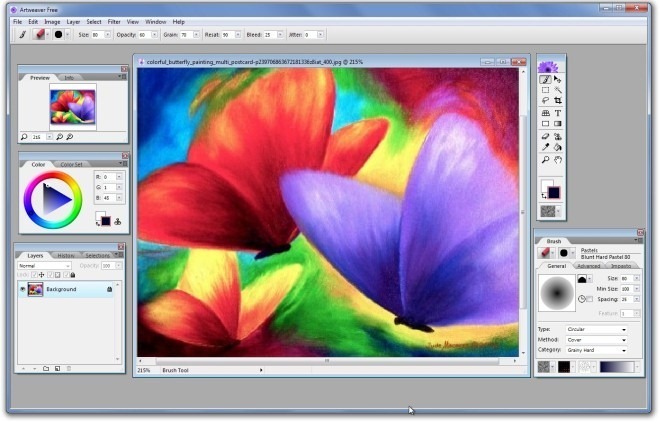 Artweaver is a powerful drawing tool with an great selection of brushes to create impressive works of art.